A Chinese space rover explored the lunar terrain today in the world's first mission on the surface of the far side of the moon. A Chinese space rover explored the lunar terrain on Friday in the world's first mission on the surface of the far side of the moon. Jade Rabbit-2 drove off a ramp the previous night and onto the soft, snow-like surface after a Chinese spacecraft made the first-ever soft landing on the moon's far side. 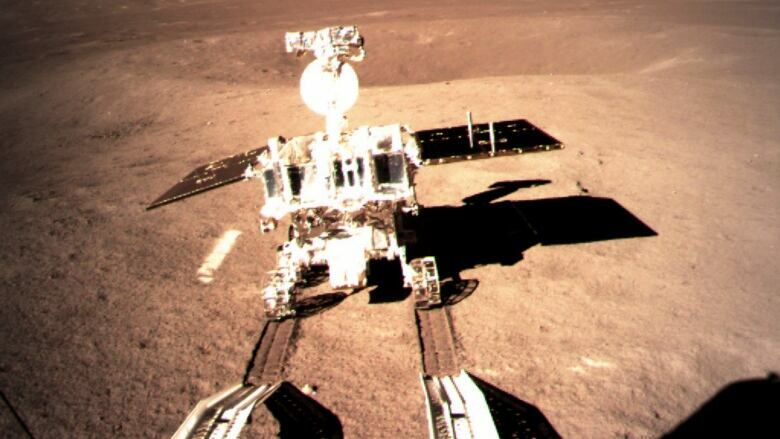 A photo posted online by China's space agency showed tracks left by the rover as it headed away from the spacecraft. "It's a small step for the rover, but one giant leap for the Chinese nation," Wu Weiren, the chief designer of the Lunar Exploration Project, told state broadcaster CCTV, in a twist of U.S. astronaut Neil Armstrong's famous comment when he became the first human to walk on the moon in 1969. "This giant leap is a decisive move for our exploration of space and the conquering of the universe." Previous moon landings, including America's six manned missions from 1969 to 1972, have been on the near side of the moon, which faces Earth. The far side has been observed many times from lunar orbits, but never explored on the surface. 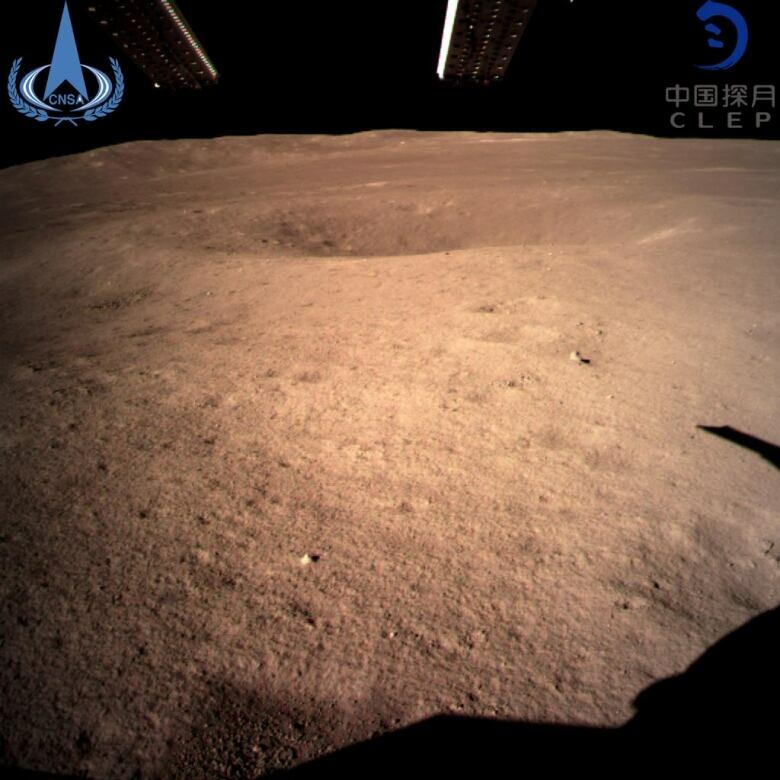 China's space community is taking pride in the successful landing, which posed technical challenges because the moon blocks direct communication between the spacecraft and its controllers on Earth. China has been trying to catch up with the United States and other nations in space exploration. "The landing on the far side shows China's technology is powerful," said He Qisong, a space expert at the East China University of Science and Law in Shanghai. While China's space program still lags America's, he said "China has already positioned itself at least as good as Russia and the European Union." "I think this is very good evidence that we are now able to compete with the Americans," said energy company employee Yao Dajun. "You can get on the moon and so can we — I think this is very good. It means our science and technology ability is getting stronger and the country is becoming more powerful." The news inspired dreamier thoughts for advertising employee Shang Yuegang. "Probably after some years ordinary people like us can also travel up there to take a look," he said. The Chinese rover has six powered wheels, allowing it to continue to operate even if one wheel fails. It has a maximum speed of 200 metres per hour and can climb a 20-degree hill or an obstacle up to 20 centimetres tall. 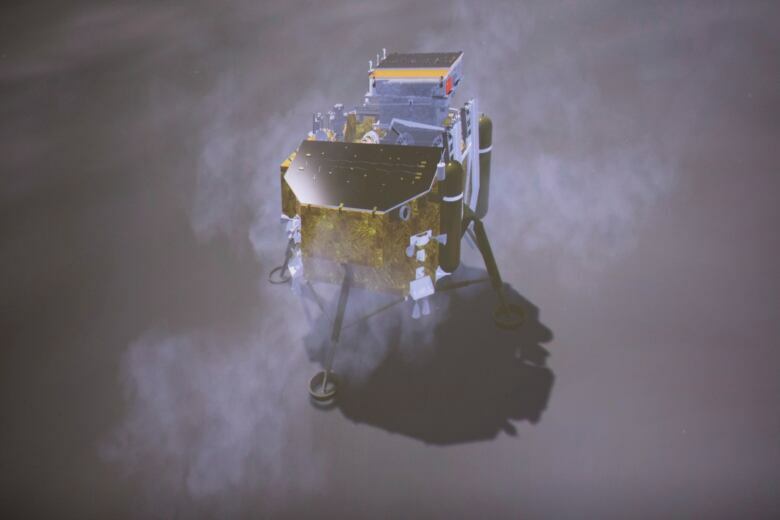 "The surface is soft and it is similar to that when you are walking on the snow," rover designer Shen Zhenrong of the China Aerospace Science and Technology Corporation said on CCTV. Exploring the cosmos from the far side of the moon could eventually help scientists learn more about the early days of the solar system and even the birth of the universe's first stars. The far side is popularly called the "dark side" because it can't be seen from Earth and is relatively unknown, not because it lacks sunlight.